Girl em[Power]ment – A Series of Short Essays. Over the next few months Flancake.co will be bringing you the Girl em[Power]ment series, which consists of interviews with several working women of all ages in different stages of their career. These are women I not only find inspiring and interesting, but who I think women of all ages should know about and learn from. These women hold careers in several different industries, from creative design to politics.They’ll give us an inside look into what their job is like, how they got there, share their advice for twenty-somethings, and touch on what Girl em[Power]ment means to them. The next influencer is the spunky Katy Nelson, whom I’ve had the privilege of knowing through my mother for a few years now. I’ve always known Katy was with it, and when I came to college I was able to figure this out even more. She’s helped to guide me through several challenges throughout my college career and help me grow along the way. She’s such a smart and giving woman in way more than one way, so I’m thrilled to share her profile. Introducing Katy Nelson, with the University of Arkansas. Q: What is your current job title, and can you please briefly explain your career path? A: Assistant Vice Chancellor for Development at the University of Arkansas – After I graduated from college in 1987, I moved to Washington, DC because there were several alumni who also lived there. I held several administrative jobs and decided I should get a graduate degree because the job market was so competitive. I really wasn’t that good at administrative work and I didn’t enjoy it. I received a graduate assistantship and moved back to Fayetteville in 1990 to get a Master’s Degree in Communication. While in graduate school, I taught two freshman level communication courses and tutored athletes. I discovered there are staff careers in higher education and decided to move to Austin, Texas in 1993 (again because I had several friends who lived there). I also tutored athletes until I landed a job as an Academic Advisor in the College of Natural Sciences. I joined the Academic Counselor’s Association and volunteered to be on the planning committee for our annual conference. I got to know my colleagues and built my professional network. After a few years in this role, I became the Coordinator of High School Outreach and Recruiting for the McCombs School of Business at UT. I met with prospective students, parents, hosted admissions sessions, and traveled to cities throughout Texas. We had an emphasis on diversity, and I had to raise money for our programs. This is how I got my introduction to fundraising. The Dean of McCombs reorganized the Development Office and I was hired as the Director of Corporate Relations. I was in this role for eight years before I moved back to Arkansas in 2007 to be the Senior Director of Development and External Relations for the Sam M. Walton College of Business. In 2013 I was promoted to Assistant Vice Chancellor. I manage the fundraising efforts of the colleges and Corporate and Foundation Relations. I also provide strategic oversight of interdisciplinary, strategic objectives, and manage relationships with key donors. Q: Where did you go to school and what was your major? Q: How do you deal with negativity towards women in the work place [if at all]? A: I have been fortunate in that I really have not experienced negativity because I am female. One reason could be that there are generally more women in student service and development roles in higher education than men. I have also had many colleagues who are“strong”, competent women who have been recognized for their accomplishments. Q: Who are your role models or mentors, and why? A: Char Dison was one of my mentors at UT Austin. She taught me two very valuable lessons: 1) pick your battles; 2) never burn your bridges. The first one is important because there are always going to be processes, procedures, and people who bother you in the workplace and you simply can’t fight them all. You have to let the little annoyances go and focus on what you really believe in and how you can make a difference. The second one is important because you may be opposed to one person on any given day but have to work with them in a team the next. You also never know who your boss might be one day. I know of colleagues who acted unprofessionally toward another person, and that person became their boss later. Needless to say, they were fired shortly thereafter. Q: Have you ever felt unsure of yourself or felt that you weren’t “enough”, and how did you overcome that? A: There have been several occasions when I have been working on a special project and I wasn’t sure how to approach it. Sometimes it was due to lack of confidence in my ability, other times the task seemed overwhelming and daunting. I like to talk through issues, challenges, etc. with others to get their ideas for solutions. Others can offer a fresh perspective. Q: What are other things you do [hobbies, projects, interest] that you feel passionate about? A: I like to ride on the Razorback Greenway, hike, and do yoga. I also like going to classes at Clubhaus gym. I am a social person and the group classes are a good fit for me. Q: What career and/or life advice would you give to your twenty-year-old self? 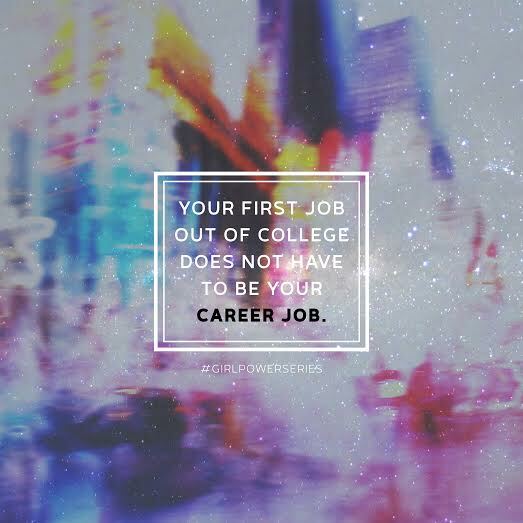 A: Your first job out of college does not have to be your career job. If I had not had the administrative positions in DC, I may not have gone back to graduate school. Graduate school led me to a career in higher education. I think finding the right career can involve trial and error. Try something and if you don’t like it, move on. Be respectful and professional to everyone, even if they drive you crazy and you don’t like them. Q: What does Girl em[Power]ment mean to you? A: Girls can be confident leaders. Posted on October 25, 2015 by flancake13	This entry was posted in Girl em[Power]ment Series and tagged girl boss, girl empowerment, girl empowerment series, girl power series, girlpowerseries. Bookmark the permalink. ← NWA Boutique Show – Giveaway!